Combine all ingredients in large bowl and stir. 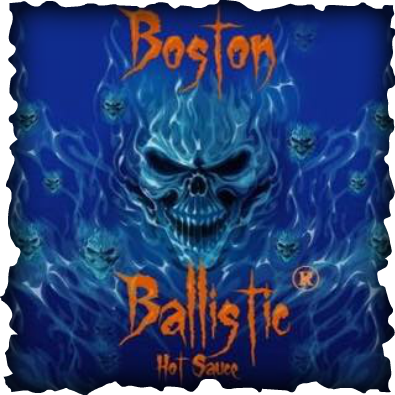 Combine the chicken with the Boston Ballistic Hot Sauce and spread in a 9x13-inch baking dish. In a saucepan, combine the cream cheese and the ranch dressing over low heat until the cream cheese is completely melted and smooth. Pour the mixture evenly over the chicken. Then sprinkle the cheese on top. Bake uncovered for 20 minutes or until bubbly. Let stand for 10 minutes before serving. Serve with celery sticks (and/or other vegetables), tortilla chips or crackers. Wet your glass rim with lemon juice and dip into celery salt. Place all ingredients in glass with ice. Stir and sip. Mix oil, vinegar, BBHS and mustard in small bowl until blended. Place chicken in zip lock bag or glass dish. Pour 1/2 of the dressing over the chicken, coat well. Reserve the remaining dressing for your salad. Refrigerate chicken for at least 30 minutes or overnight for extra flavor. Remove chicken from marinate and discard extra. Grill chicken at least 5 -7 minutes per side or until chicken is cooked through. Slice chicken into thin slices. Toss salad greens with tomato and onion in large bowl. Top with chicken and remaining dressing.